Here are ondrashorak's ratings and reviews. These ratings are useful because ondrashorak has his/her own standard and will rate and review the ping pong equipment accordingly, giving you accurate and useful ratings and reviews to aid you in your next online purchase. 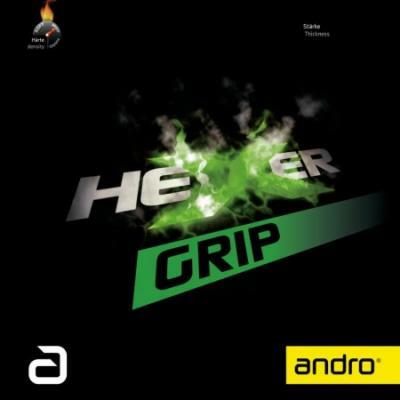 Andro Hexer Grip has a porous sponge with a hardness of 45 degrees and a significant green color. I had a red square, a sponge thickness 1.9 mm and a weight of 66 grams. Andro Hexer PowerGrip is his stronger sibling whose most distinctive paper difference is a harder sponge. It has 47.5 degrees, smaller pores and of course the green color. I tested a black square with 2.1 mm sponge and a weight of 70 grams. I was keen especially about the Hexer Grip, because it (at least for me) fills a gap in a range of Rasanters. I tested the rubbers on the seven-ply Butterfly SK7. Glued with TSP Bio Fix. The first impression while playing were positive. The rubbers played absolutely steadily, well balanced. Spin potential of the rubbers is enormous. In terms of stiffness, I would say that the topsheet is at the bottom of the medium hardness, it is not sticky, but it is quite adherent. 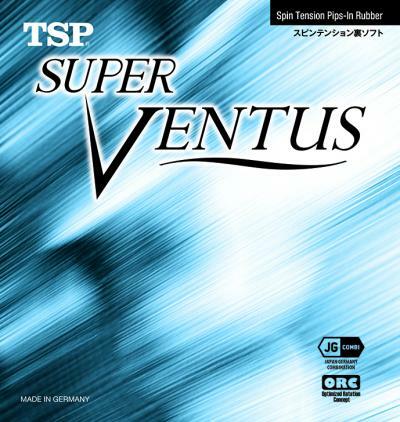 Topspins are really easy to play, I was getting more and more sureness to play the opening topspin from BH. 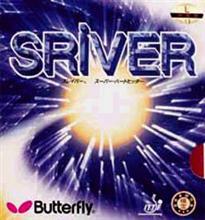 Overally, I would say that my confidence increased in BH topspin game. Topspin from the FH side was steady. The contratopspins were extremely safe. Overally I thought the ideal space was rather closer to the table up to mid-range. Generally, for both rubbers (and more generally not just these two rubbers) the deeper a ball sink into the rubber the more controlled ball you get. Adapting to short play wasn´t problematic thanks to the similarities of rubbers I am used to. The softer Hexer Grip is slightly slower, with excellent control and a slightly higher arc. It has higher tolerance for mistakes. Ideal for players who are developing and want to increase their confidence and self-esteem in the strokes they are drilling. 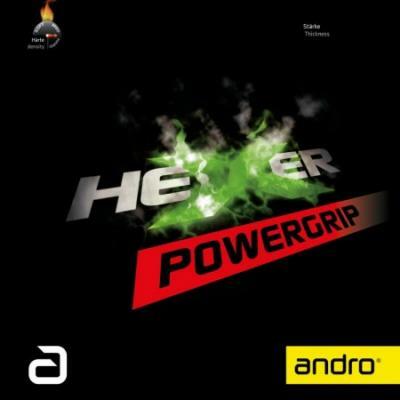 Hexer Powegrip is faster, sharper with a slightly lower arc. 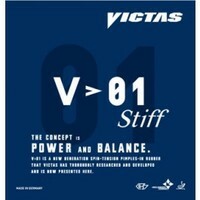 It's really the faster brother of the Grip, the rubbers are very close to each other. I think these rubbers are absolutely amazing substitution of older Hexers with all modern elements of todays game style. Great and already possible to say legendary rubber. High speed and awesome spin potential. 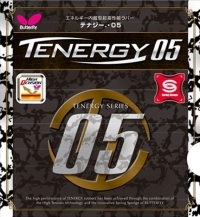 What is quite surprising is that I have never feel that Tenergy rubbers would be highly sensitive for incoming spin. The true is that you have to play actively! 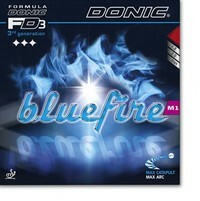 Really great FH rubber for aggressive looping play. Good short balls, but the biggest advantage is in active offensive play. 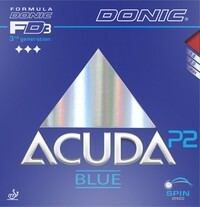 Quite hard rubber so recommend for players with developed technique. Such a good rubber for its price. Fast and could produce a good spin. The biggest disadvantage is that this rubber is very sensitive for incoming spin. Tested on DHS H301 in MAX sponge. Well balanced modern offensive rubber. Medium hard sponge is great for more experienced players but this rubber is great in all aspects - speed, spin and control (more on side of speed and spin). Opening loops are easy and harder strokes can be played while keeping good control. Catapult effect is enjoyable without any bigger kicks, even in short game. 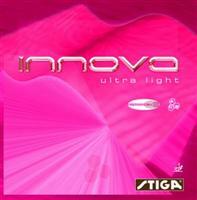 Recommend to try! I am very satisfied with this rubber on my BH. 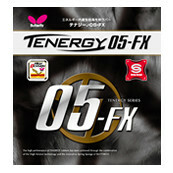 I used Tenergy 05 before and I was looking for a better control which I have found in Stiff. Spin is great, speed is very good but its way easy to control! Sponge is medium hard but topsheet is really hard rubber what you feel also when you cut it on a blade. Really recommend this rubber!